For your safe and cost effective payment processing solution. We can provide you with all the tools required to ensure a smooth and simple payment process to offer your customers no matter what the payment method or currency. Whatever your customers preferred payment option is, you will have the facility to provide it. We offer a reliable, secure and fast processing payment method to ensure you are able to provide your customers with their preferred payment method, whether it be in-app payments, web shop or repeat billing with one simple integration. Our modules can be adapted and extended to suit your changing needs, quickly and safely. We can offer you stationary, wireless and mobile card readers as well as contactless payment transaction methods which are now considered a standard payment service among service companies and can be a significant business driver. With our solutions you can accept all common payment types at point-of-sale, mobile, POS or Omni channel. We offer global card acquiring with more than 80 payment methods that are able to handle desktop, mobile and POS transactions. Our third party omnichannel platform is ready for today’s international retail environment. Support with compliance implementation and marketplace integration. During the implementation process we will support you every step of the way. Whatever method you offer (wireless, mobile, stationary) we can offer you a reliable, modern and practical solution for cashless payment processing. With a MOTO solution and a virtual terminal, you can easily accept payments in your call centre. In addition to credit card payments we also offer SEPA direct debit payments. Our Subscription services model is ideal for recurring billings for your subscription services via websites, apps and as a call centre solution. Reduce your costs, increase your sales and improve customer satisfaction. Barbara has been a Director at Via Payments since 2003 and has over 15 years’ experience in merchant services, e-commerce and credit card processing. Barbara has been a Director at Via Payments since 2003 and has over 15 years’ experience in merchant services, e-commerce and credit card processing. She speaks English, French and Italian fluently and believes her multi lingual qualities give her an edge over many of her competitors when it comes to leading multi-national / cultural teams. Barbara has a vast global network of contacts as a result of her approach and open-mindedness to new ideas. She has a Degree in Systems Engineering; studied Anthropology and Sociology at Concordia University and gained a Batchelors Degree in Marketing from McGill University. All these skills have assisted Barbara in her unique ability to interact successfully with stakeholders globally. 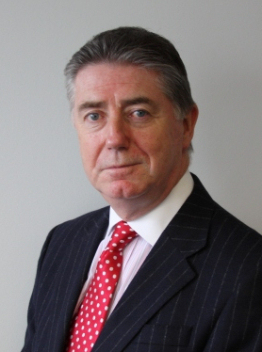 Fred brings over 30 years of experience in the Retail &Consumer Goods Sector in the UK and International Markets. His Private Sector experience coupled with almost 20 years as a senior advisor for H.M. Governments, Department for International Trade (previously UKTI ). Fred’s extensive Private and Public Sector background provide the Via Payments team with a great resource in understanding the challenges Retailers and Consumer Brands face in these days of omnichannel and cross border trading. Due to the ever increasing laws designed to prevent fraud, we have a in place a range of modules designed to simplify the risk management pocess and proceedures . This ensures we have the greatest possible security when processing your payment transactions. As well as velocity checks we also have in place address verification, credit checks and filter settings for the analysis and assessment so that transaction decisions can be made based on individul purchases processes. Take advantage of our years of cross industry experience and let us develop a strategy that is tailor made for your business. Our sector expertise gives us the ability to identify the exact point of crossover between risk and sales, support to ensure you achieve your business goals. For a free, no obligation discussion with one of our specialist team. For more information, or to arrange an initial discussion, please complete and submit this request form and a senior member of our team will be in contact very shortly. © 2019 VIA Payments. All Rights Reserved.